Both phones have a Metal body, Fingerprint scanner on the rear, face unlock feature. 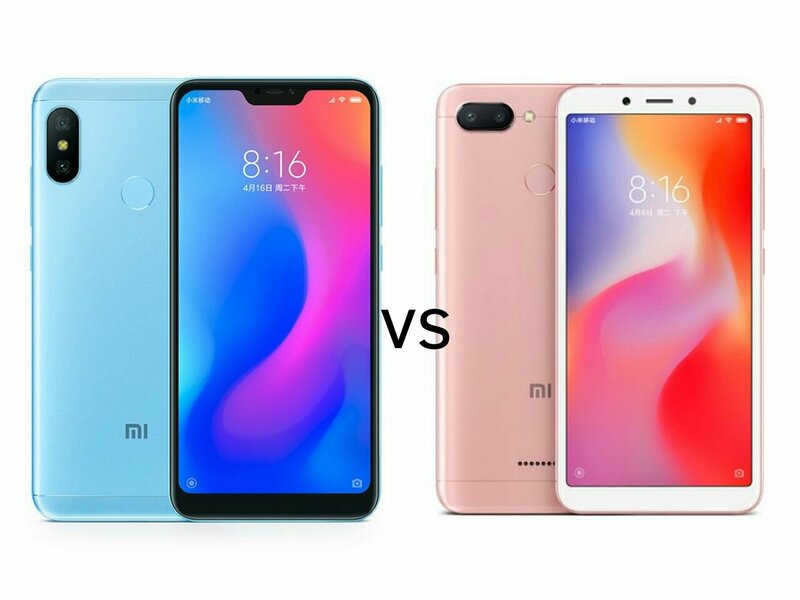 Redmi 6 Pro has a 5.84-inch (2280×1080 pixels) Full HD+ 19:9 display compared to 5.45-inch (1440 × 720 pixels) HD+ 18:9 display on Redmi 6. Xiaomi Redmi 6 is powered by Octa-Core Snapdragon 625 processor whereas Redmi 6 has MediaTek Helio P22 processor both phones have 3/4GB RAM and 32/64GB storage. On Camera, both phones have a 12MP rear camera with LED Flash, 1.25μm pixel size, PDAF, Secondary 5MP camera and 5MP front-facing camera. Redmi 6 pro has 4000mAh battery compared to 3000mAh battery on Redmi 6. Xiaomi Redmi 6 is priced at 799 Yaun for 3GB of RAM and 32GB of internal storage and 4GB RAM and 64GB of internal storage cost 999 Yuan. Xiaomi Redmi 6 pro comes in Gold, Rose Gold, Black, Red, and Blue color priced at 999 yuan for 3GB+32GB, 1199 Yuan for 4GB RAM +32GB Storage and 1299 Yuan for 4GB+64GB. Redmi 6 Pro has FHD+ Display, Bigger battery, a similar camera as Redmi 6.